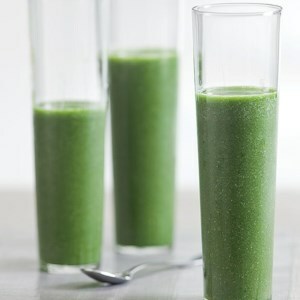 Find healthy, delicious kale smoothie recipes, from the food and nutrition experts at EatingWell. 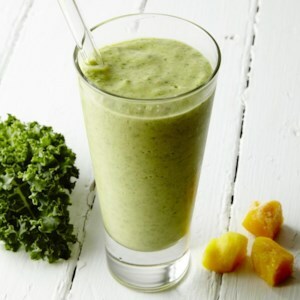 This quick and easy smoothie combines the sweet flavors of pineapple, apples and green grapes with kale. Packed with Vitamins A and C, this drink offers nutritious benefits without sacrificing taste. This PB&J-inspired green smoothie recipe makes for a quick and healthy breakfast you can easily take on the go. 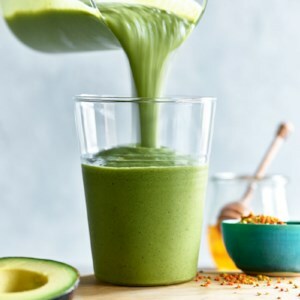 To make this green smoothie recipe a meal-in-a-glass, musician Mraz adds a tablespoon of coconut oil and some sprouted flax or chia seeds. 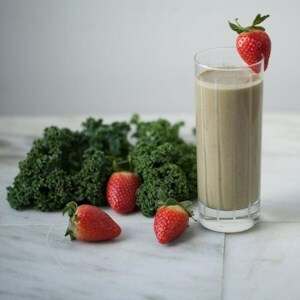 Get your daily dose of dark leafy greens any time of day with this delicious green smoothie. Ground flaxseed adds omega-3s. Pour any extra into a freezer-pop mold and have it later as a frozen green smoothie pop. 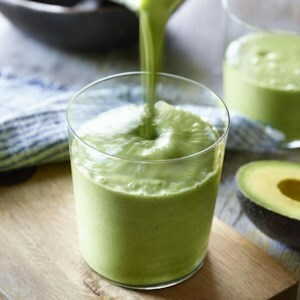 Mango, banana and kale are blended with coconut water and protein-rich cottage cheese in this delicious smoothie recipe. 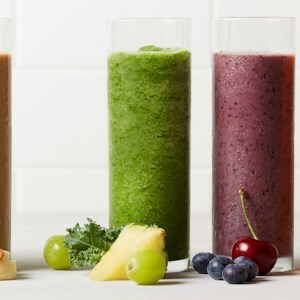 Flaxseed gives this smoothie a boost of healthy omega-3 fats. 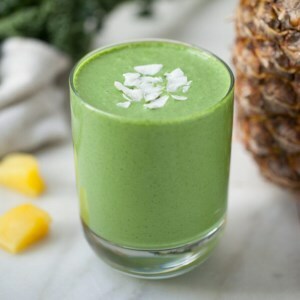 Traditional piña colada flavors of pineapple and coconut sweeten up dark leafy greens in this healthy fruit smoothie recipe to deliciously sneak an extra serving of vegetables into your day.